From 1977- 2015, my former partner, Tom Bender (tombender.org), and I lived on Neahkahnie Mountain in a house we built overlooking the ocean in a small community on the north Oregon Coast. In Fall of 2016 our paths diverged and while he still lives on the Mountain, I now live in Nehalem next to the 10th Street property we still co-own and where we are hoping something exciting will happen housing-wise. For 44 years Tom and I shared the adventures of our mutual passion for bringing alive our longtime vision of sustainable community, first developed together in the 70’s when we were part of a group in Portland editing RAIN: Journal of Appropriate Technology. Thinking globally and acting locally at the coast, we helped start Fire Mountain School for our two sons in 1982, with a group of parents. I taught there for 12 years. It’s virtually a one-room school house (which we all built) and is still going strong, now with some second generation kids. After a year off, in 1996 I helped take over and run the town dump, turning it into CARTM Recycling, an innovative recycling/reuse/trash art center. Next Tom and I helped set up a local conservancy land trust called Lower Nehalem Community Trust, then NeahCasa, a project to develop affordable workforce housing in the form of a community housing trust (or CLT) and Fulcrum Community Resources, an organization quietly fostering other sustainability projects here locally. These last two occupied us intensely for several years and we are still involved there but as of 2010 are focusing more on our personal creative efforts and on a slow growing community development project on land we own in Nehalem called Coyote Ridge. I enjoy the starting up/fundraising process but tend to move on when it gets time for personnel policies and the like. Luckily there always seem to be others who stick with it or step in to take over for the long haul. Over the years we have been part of a Full Moon drumming circle and various spiritual ritual and healing groups. We’re also an active part of the local yoga community. I do tarot readings when asked and am a budding herbalist, my current interest being making flower and stone essences as Lane’s Greenwitch Garden. 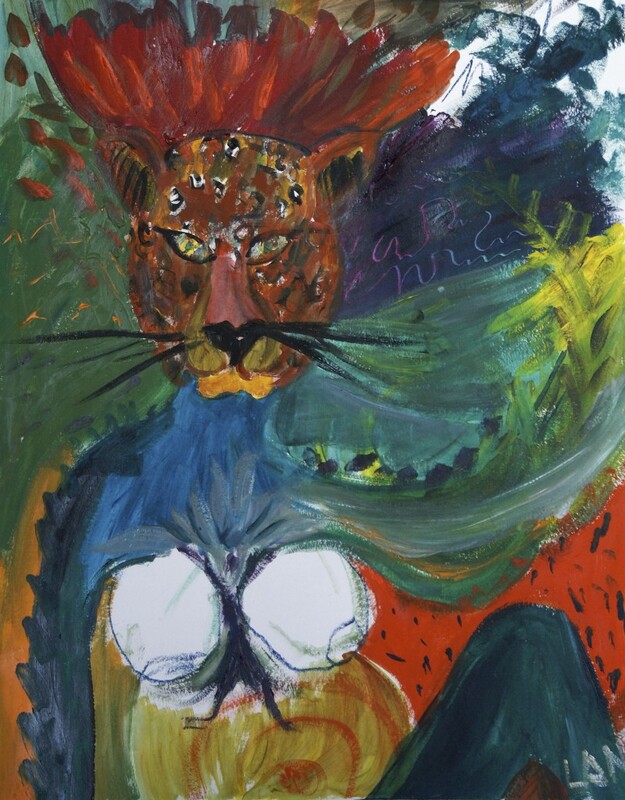 In 1995 – on the verge of menopause I took up painting as a self-discovery process. I often refer to my paintings as “shamanic inner landscapes.” I’ve since had several shows – mostly self-produced. Getting that work out is what inspired this website in 2007. Since 2009 I have been working slowly and intermittently on a novel about sustainable community that looks very much like the one i live in… See installments on my What If Can Be website. Onward and upward. And we’ll see what happens next!